It happened during Friday prayers as the building, in the capital Mogadishu, was packed with worshippers. Some media outlets report that worshippers were at prayer, while others say more than 100 people were pouring a concrete foundation after prayers when the structure collapsed. Most of the dead were construction workers, the privately-owned Radio Shabelle reported. 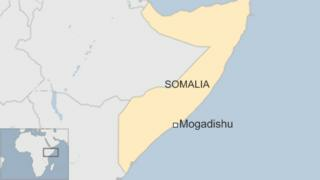 The state-owned Somali National News Agency said the incident took place in Dayniile district.